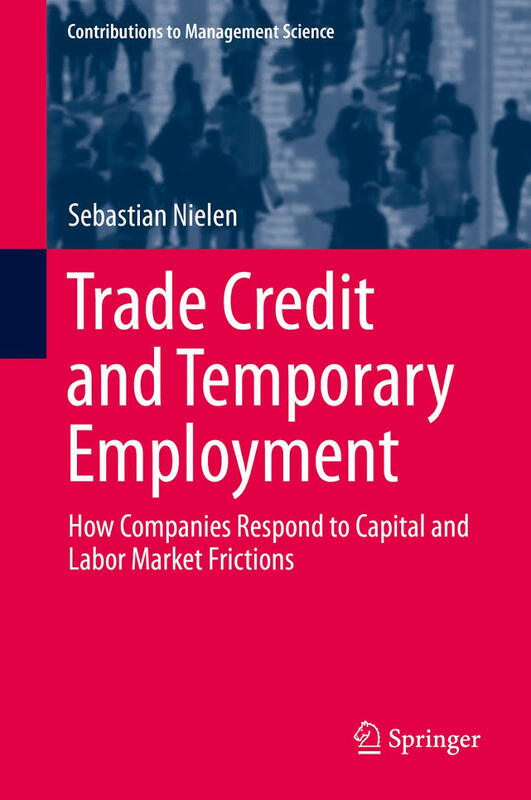 서명/저자 Trade credit and temporary employment : how companies respond to capital and labor market frictions / by Sebastian Nielen. 발행사항 [Cham] : Springer Berlin Heidelberg , 2016. This book presents an empirical investigation into the relationship between companies' short-term response to capital and labor market frictions and performance. Two different kinds of performance measures are considered, namely innovation performance and firm performance. The author focuses on two major topics: first, on the relation between innovation performance and the use of trade credit. Second, on the relation between firm performance and the use of temporary employment. The use of in-depth firm-level data and state-of-the-art microeconometric methods provide the scientific rigor to this important investigation to answer the questions currently being confronted by many companies in different economies.